Nov 2, 2017 — The Food and Drug Administration (FDA) sent a warning letter to four CBD distributors warning them to stop selling CBD products, “to prevent, diagnose, treat, or cure cancer without evidence to support these outcomes.” The letters were sent October 31, 2017, followed by a more widely distributed warning the FDA posted on November 1st. The letters warn that selling CBD as a product that promotes any health benefits, especially in respect to specific diseases like cancer and Alzheimer’s disease, was a violation of federal law. The letter gave them 15 days to address the violations and take corrective action or the FDA would seek further enforcement actions. “The violations cited in this letter are not intended to be an all-inclusive statement of violations that exist in connection with your marketed products. You are responsible for investigating and determining the causes of the violations identified above and for preventing their recurrence or the occurrence of other violations. It is your responsibility to ensure that your firm complies with all requirements of federal law and FDA regulations. The Stanley Brothers, specifically, have been arguing with the federal government about hemp derived extracts for over a year. In March 2017 the DEA issued a memo that was supposed to clarify the legal status, but it was met with push back from the cannabis industry who believe the Farm Act of 2014 defines their products as legal industrial hemp. The DEA memo was dismissed by the Stanleys, who have continued to promote their CBD products online. Their attorney wrote a letter in response to the DEA explaining his reasoning. 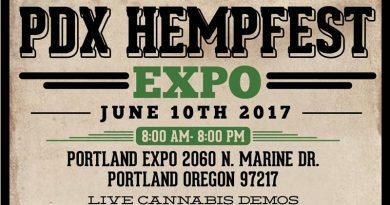 They stood firmly on the claim that they were selling a industrial hemp product, and claimed the DEA had no jurisdiction in the matter. Joel Stanley penned an Op-Ed to The Cannabist in Colorado (The Denver Post’s cannabis website) where he argued against their memo. The FDA has taken a regulatory approach. Since they control most of the drugs, they can stop the sale and distribution of compounds deemed to be “new drugs” which gives them regulatory control over the products. CBD is still considered a new drug, which means the FDA has the final word. As of November 2, 2017, three of the four companies were still selling online, but Greenroads Health website was “Down for maintenance.” Surprisingly, Hemp CBD oil can be purchased on Amazon.com where they just avoid mentioning the CBD (see here). This is to advise you that the U.S. Food and Drug Administration (FDA) reviewed your website at the Internet address www.cwbotanicals.com (redirects to www.cwhemp.com) in August 2017 and has determined that you take orders there for the products “Everyday Dietary Supplement,” “Everyday Plus Dietary Supplement,” “Everyday Advanced Dietary Supplement” and “Charlotte’s Web Gel Pen,” which you promote as products containing cannabinoids, including cannabidiol (CBD). We have also reviewed your website at the internet address www.theroc.us, and your social media websites at www.facebook.com/CWHempOfficial and www.twitter.com/CWHemp; these websites direct consumers to your website, www.cwhemp.com, to purchase your products. The claims on your websites establish that the products are drugs under section 201(g)(1) of the Federal Food, Drug, and Cosmetic Act (the Act) [21 U.S.C. § 321(g)(1)] because they are intended for use in the diagnosis, cure, mitigation, treatment, or prevention of disease and/or because they are intended to affect the structure or any function of the body. As explained further below, introducing or delivering these products for introduction into interstate commerce for such uses violates the Act. You can find the Act and FDA regulations through links on FDA’s home page at www.fda.gov. Although you market “Everyday Dietary Supplement,” “Everyday Plus Dietary Supplement,” and “Everyday Advanced Dietary Supplement” as dietary supplements, FDA has concluded based on available evidence that CBD products are excluded from the dietary supplement definition under section 201(ff)(3)(B)(ii) of the Act [21 U.S.C. § 321(ff)(3)(B)(ii)]. Under that provision, if an article (such as CBD) has been authorized for investigation as a new drug for which substantial clinical investigations have been instituted and for which the existence of such investigations has been made public, then products containing that substance are outside the definition of a dietary supplement. There is an exception if the substance was “marketed as” a dietary supplement or as a conventional food before the new drug investigations were authorized; however, based on available evidence, FDA has concluded that this is not the case for CBD. The existence of substantial clinical investigations regarding CBD has been made public. For example, two such substantial clinical investigations include GW Pharmaceuticals’ investigations regarding Sativex and Epidiolex Under FDA’s regulations [21 CFR § 312.2], unless a clinical investigation meets the limited criteria in that regulation, an IND is required for all clinical investigations of products that are subject to section 505 of the Act. FDA is not aware of any evidence that would call into question its current conclusion that CBD products are excluded from the dietary supplement definition under section 201(ff)(3)(B)(ii) of the Act, but you may present FDA with any evidence that has bearing on this issue. . FDA considers a substance to be “authorized for investigation as a new drug” if it is the subject of an Investigational New Drug application (IND) that has gone into effect. You also direct consumers to the Realm of Caring website at www.theroc.us. On a webpage titled “Research library”, there are links to articles hosted on www.theroc.us that promote CBD for diseases including but not limited to Alzheimer’s disease, Breast Cancer, Diabetes, Leukemia, Lung Cancer, Parkinson’s disease, Stroke and others. The claims on your websites establish that the products are drugs under section 201(g)(1) of the Act [21 U.S.C. § 321(g)(1)], because they are intended for use in the diagnosis, cure, mitigation, treatment, or prevention of disease and/or because they are intended to affect the structure or any function of the body. Your products “Everyday Dietary Supplement,” “Everyday Plus Dietary Supplement,” “Everyday Advanced Dietary Supplement” and “Charlotte’s Web Gel Pen” are not generally recognized as safe and effective for the above referenced uses and, therefore, the products are “new drugs” under section 201(p) of the Act [21 U.S.C. § 321(p)]. New drugs may not be legally introduced or delivered for introduction into interstate commerce without prior approval from the FDA, as described in sections 301(d) and 505(a) of the Act [21 U.S.C. §§ 331(d), 355(a)]. FDA approves a new drug on the basis of scientific data and information demonstrating that the drug is safe and effective. A drug is misbranded under section 502(f)(1) of the Act [21 U.S.C. § 352(f)(1)] if the drug fails to bear adequate directions for its intended use(s). “Adequate directions for use” means directions under which a layperson can use a drug safely and for the purposes for which it is intended [21 CFR § 201.5]. Prescription drugs, as defined in section 503(b)(1)(A) of the Act [21 U.S.C. § 353(b)(1)(A)], can only be used safely at the direction, and under the supervision, of a licensed practitioner. Your products “Everyday Dietary Supplement,” “Everyday Plus Dietary Supplement,” “Everyday Advanced Dietary Supplement” and “Charlotte’s Web Gel Pen” are intended for treatment of one or more diseases that are not amenable to self-diagnosis or treatment without the supervision of a licensed practitioner. Therefore, it is impossible to write adequate directions for a layperson to use your products safely for their intended purposes. Accordingly, “Everyday Dietary Supplement,” “Everyday Plus Dietary Supplement” and “Charlotte’s Web Gel Pen” fail to bear adequate directions for their intended uses and, therefore, the products are misbranded under section 502(f)(1) of the Act [21 U.S.C. § 352(f)(1)]. The introduction or delivery for introduction into interstate commerce of these misbranded drugs violates section 301(a) of the Act [21 U.S.C. § 331(a)]. The violations cited in this letter are not intended to be an all-inclusive statement of violations that exist in connection with your marketed products. You are responsible for investigating and determining the causes of the violations identified above and for preventing their recurrence or the occurrence of other violations. It is your responsibility to ensure that your firm complies with all requirements of federal law and FDA regulations. Within fifteen (15) working days of receipt of this letter, please notify this office in writing of the specific steps you have taken to correct violations. Include an explanation of each step being taken to prevent the recurrence of violations, as well as copies of related documentation. If you cannot complete corrective action within fifteen working days, state the reason for the delay and the time within which you will complete the correction. If you have questions regarding any issues in this letter, please contact CDR Matthew R. Dionne, Compliance Officer via email at Matthew.Dionne@fda.hhs.gov, or by phone at (303) 236-3064 and reference unique identifier 490089. Electronic responses may be sent to CDR Dionne at the email address provided.